Johannesburg - Deputy Finance Minister Mondli Gungubele on Thursday hinted he was confident that the country will avoid a credit downgrade by Moody’s when the ratings agency announces its review on Friday. Gungubele said meetings between National Treasury and ratings agencies during last week's international investor roadshow gave him hope of a positive outcome. He was addressing a meeting between public policy makers and business leaders in Johannesburg. “We had a session with almost all ratings agencies … we had very positive discussions, very frank and honest discussions,” he said. In November, Moody’s maintained its sovereign rating for SA at Baa3, one rung above junk status. The country is on review for a downgrade, and the agency is expected to announce its decision on Friday. Moody’s is the last of the three major ratings agencies to still rate South Africa's sovereign debt at investment grade. If it downgrades the country, South Africa will automatically be removed from the Citi World Government Bond Index (WGBI), forcing asset managers to sell South Africa’s bonds. Gungubele told journalists that the South African delegation had to calm investor jitters around the state's new land reform process, which he described as one of the key development issues that need to be addressed. 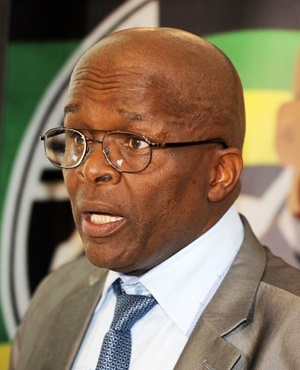 Gungubele said government needed to accept that the issue of land ownership had not been handled well since 1994, and that the system of what he termed willing-buyer willing-seller had not yielded positive results.